The deadline for entries for the Kate Granger Compassionate Care Awards is now just a month away. The awards, which will be staged for second successive year at the Health and Innovation Expo 2015, will close to submissions of May 29. So now is the time to make sure you get your entry or nomination in. 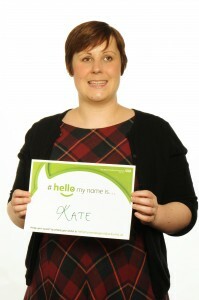 Named after Kate Granger, the terminally ill doctor who has worked tirelessly to raise awareness around compassion in the NHS through her #hellomynameis social media campaign, the awards will be made at Expo 2015 in Manchester on September 2 and 3. She said she is delighted the awards are being run for the second successive year by NHS Employers, adding: “These awards are part of my legacy and I am so proud of them. “It was incredibly humbling last year reading the amazing entries from all corners of the NHS. I had the unenviable task of choosing winners from the outstanding shortlisted candidates, while I had been in hospital a few weeks beforehand. “Being a patient has taught me a huge amount about being a doctor. Prioritising compassionate care in its rightful place alongside patient safety, under the umbrella of quality is perhaps one of the most important things I have learned. The first award is for an individual working in the NHS or delivering NHS funded services. The second is for teams or organisations who are part of the NHS, or who deliver NHS funded services. These services can be delivered in hospitals, or in a primary care, community or residential setting. It was while undergoing treatment for cancer that Dr Granger started writing about seeing the NHS “through the eyes of a patient”. She launched #hellomynameis campaign to talk about some of her intensely moving experiences. How about also recognising patients and carers who have been effective in compassionately sharing their views to health care staff to enable them to work together effectively and it not becoming a blaming session when health care workers are trying their best but sometimes don’t have time to listen or act on the carers or patients voice and views.